MacRumors and Twelve South are partnering up for another discount event, this time centering on a collection of nine products that should help students, parents, and teachers gear up for the new school year. In the MacRumors exclusive sale, you'll find 15 percent discounts on Twelve South products like the BookBook Vol. 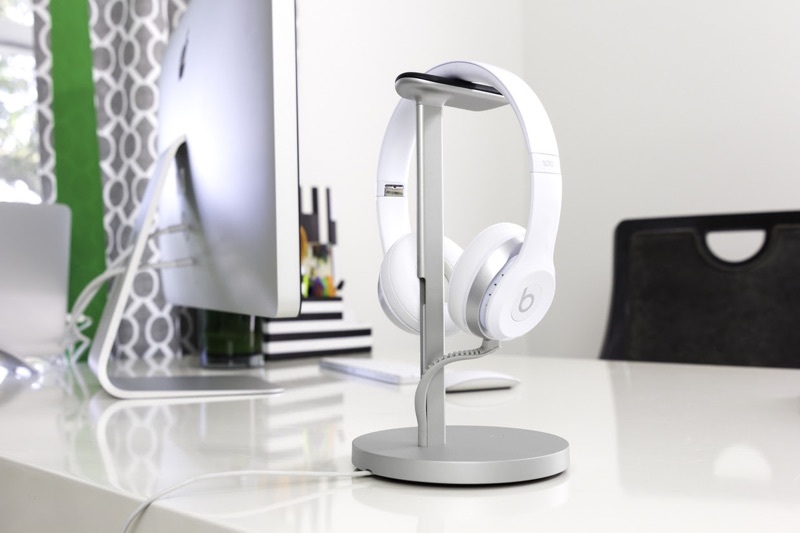 2, Fermata headphone stand, Curve for MacBook, and more. To take advantage of the discounts, browse TwelveSouth.com for any of the accessories listed below and enter the promo code MacRumorsBTS during checkout. The code is live beginning today, August 13, and will run for just under two weeks and end on Friday, August 24 at 11:59 p.m. ET. MacRumors readers around the world can take part in the sale, although shipping costs will vary by region. Twelve South offers users in the United States free FedEx Smart Post on all orders (5-10 day shipping estimate), and free 2-day shipping on all orders over $95. Note: While all items in the sale are the cheapest available online, there are some exceptions. For these Twelve South accessories, we have marked Amazon's better deals (as of writing) in a section directly under our own exclusive promo price. Amazon's prices fluctuate daily, however, so we can only ensure consistent savings through our own coupon code on TwelveSouth.com. Description: Carry your MacBook around campus in BookBook's six-sided protective case, which also hides an interior pocket for storing class papers. Description: Designed to protect and enhance your iPad experience, BookBook for iPad includes a built-in typing or drawing angle in a sturdy case with a crush resistant spine. 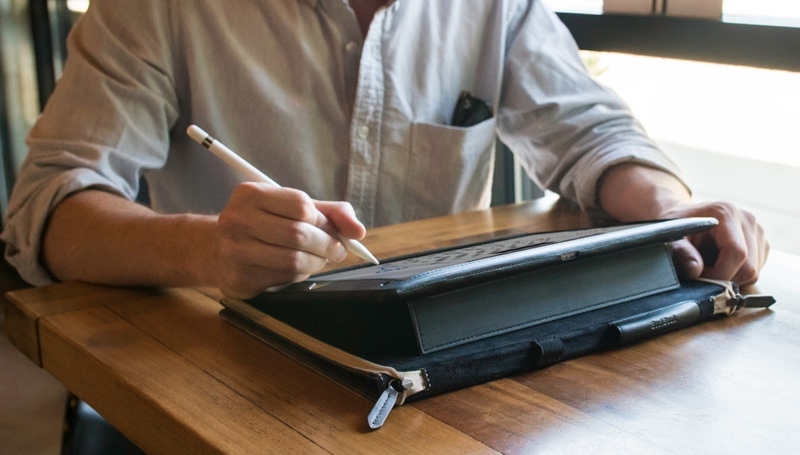 As a bonus, all three discounted cases in this sale include Apple Pencil storage in the spine. Note: The 2017 iPad, iPad Air, and iPad mini BookBook cases are not compatible with the promo code. 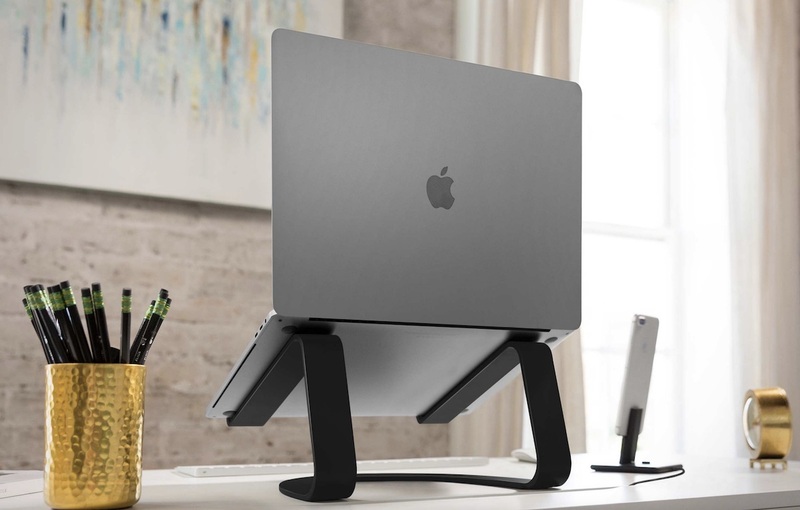 Description: Twelve South's Curve is an aluminum stand that elevates your MacBook, providing better line-of-sight for lengthy school projects (when paired with a wireless keyboard and mouse) and organizing messy desks. Description: Gain a more comfortable typing angle during lectures this semester with ParcSlope, a hybrid stand that both slightly elevates compatible MacBooks while also providing an 18-degree drawing angle for the 12.9-inch iPad Pro. Description: Looking to clear up charging clutter in your dorm? 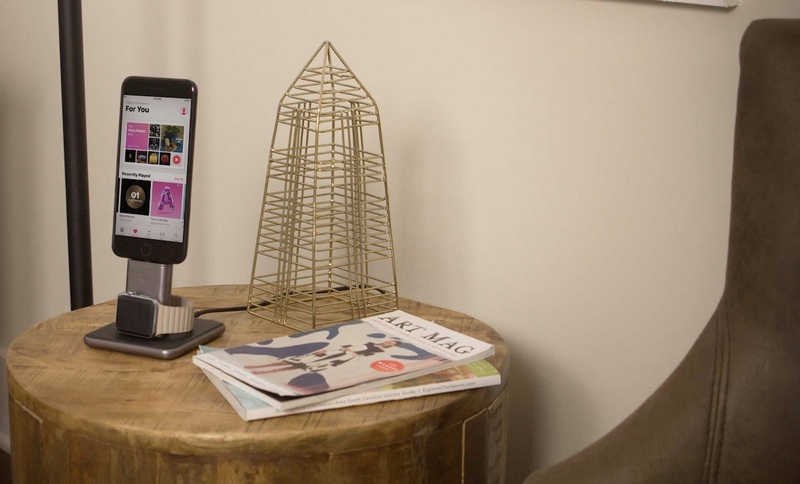 The HiRise Duet provides double-duty charging for any Lightning-enabled iPhones and Apple accessories, while housing an included Apple Watch charging disk that charges Apple Watch in Nightstand mode. Description: If you don't have an Apple Watch, you can also get the advantages of HiRise thanks to HiRise 2, which focuses on charging and displaying iPhones and iPads, without an inductive charging puck. Description: The Fermata stand charges and displays any micro-USB powered wireless headphones -- like Beats Studio3 -- ensuring that your headphones are always ready to block out noise so that you can stay focused during long study sessions. Description: Stay in shape and de-stress using Twelve South's workout-friendly ActionSleeve for Apple Watch. 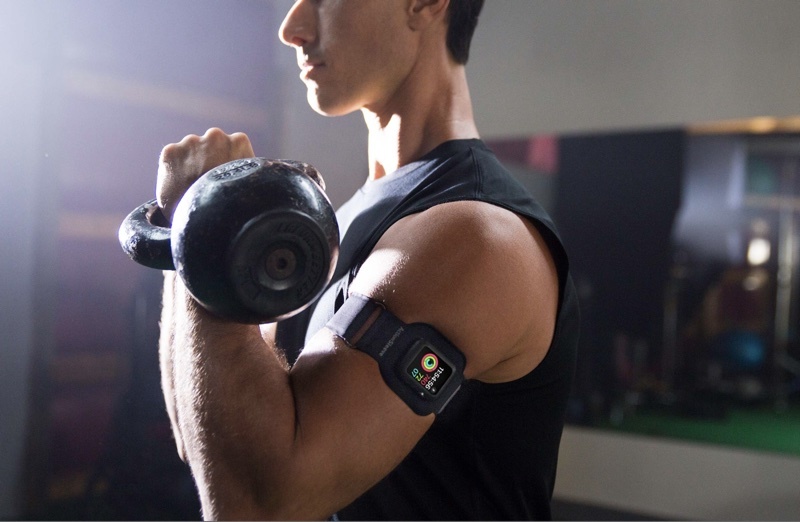 The accessory places Apple Watch on your bicep so that you can keep tracking your activity even during workouts that require protective sports gear, like Kickboxing, CrossFit, and Kettlebell training. 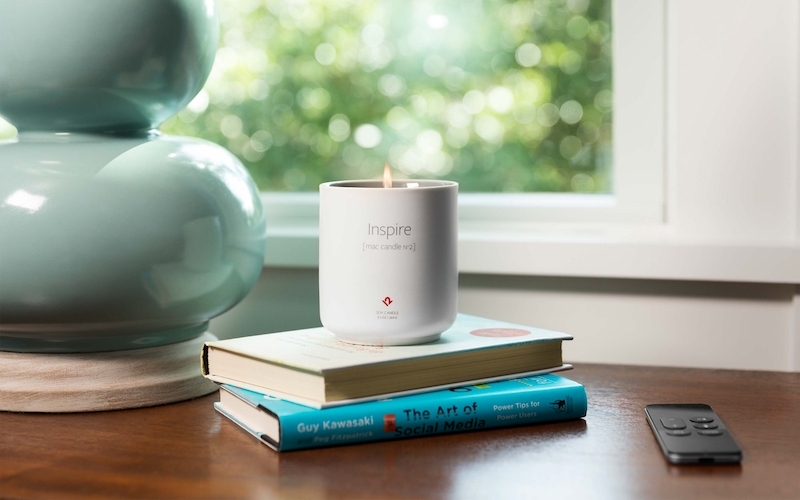 Description: Twelve South's Inspire [mac candle N°2] takes inspiration from a Steve Jobs quote, promising scents that will help to clear your mind and stimulate creativity during school projects, while also ridding your dorm of unpleasant smells. Head over to our Deals Roundup for even more of the latest offers happening this week, and remember to use the exclusive Twelve South promo code before it expires on August 24.